Deb Love (MA ’11) describes bioethics as a “calling” she didn’t fully understand at the time she embarked on the Graduate Program in Bioethics at Wake Forest University. Educated to think like an attorney, Deb arrived in the program with a background in organizational change and interpersonal dynamics, including family systems theory. At the time of enrollment, Deb was simply looking for a new and inspired career direction that would allow her to apply her training, experience and education to the context of healthcare. She quickly discovered that the vast field of bioethics greatly captured her attention and that she had indeed found her “calling” in a new vocational path. During her time in the Graduate Program, Deb interned at the University of North Carolina Center for Bioethics in Chapel Hill, NC. Her combined experiences in course work and internship revealed that she was particularly drawn to improving communication in the physician/patient relationship, particularly in end of life issues. Upon graduation she continued to work at UNC as the Clinical Ethics Outreach Partner, where she was able to make connections with bioethics colleagues across the state. There, Deb played a leadership role in founding the Clinical Ethics Network of North Carolina (CENNC) and became active in statewide efforts. Together with colleagues, Deb helped establish the North Carolina Partnership for Compassionate Care (NCPCC), a program of the North Carolina Medical Society Foundation to promote conversations about advance care planning. Her work with NCPCC prompted an invitation to join a task force for transforming end of life care at Novant Health in Winston-Salem, NC. Today, Deb is the Corporate Director of Bioethics for Novant Health, where she is charged with enhancing the professionalism and processes of the ethics committees at Novant Health’s fifteen medical centers. Deb also works to establish new models for embedding ethics into the acute care setting, with the aim of promoting conversations earlier in the disease continuum. Deb has retained an adjunct assistant professor appointment at the University of North Carolina and is hopeful for opportunities for research collaboration in the future. The new career direction Deb sought on entering the Graduate Program in Bioethics at Wake Forest University has come to fruition. In retrospect Deb realizes that personal life experiences drew her into this aspiring field, and her Masters in Bioethics helped shape her focus. Her degree is her work, and without her MA in Bioethics she would not be in her current role. As a member of the inaugural class, Deb is grateful for her time spent at Wake Forest University. Deb will always recall the spirited cross-generational dialogue that occurred around the table, especially over cases in Clinical Ethics or in Current Topics. The opportunity to explore a topic in depth with others was a gift the program offered Deb. Most of all, Deb remembers the enduring friendships formed with classmates and faculty, claiming she will “never be able to fully express” her gratitude for the support from faculty mentors at both Wake Forest University and the University of North Carolina Chapel Hill. 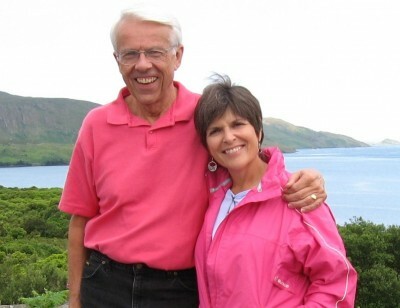 Deb currently resides in Chapel Hill, NC and Winston-Salem, NC with her husband John Grubenhoff. Together Deb and John enjoy traveling to see their children and grandchildren, attending baseball games, and listening to classic jazz. Deb has recently discovered a new passion in the game of golf, which creates balance between work and play and teaches her to be both humble and confident at the same time.